For successive administrations, inertia may have kept the flawed status quo of U.S.–Turkey relations in place, but the train appears finally to be running out of track. It was bound to happen eventually, regardless of the Trump administration's just-announced decision to impose sanctions on two Turkish cabinet officials in response to Turkey's continued detention of an American pastor. And now it has: The final version of the 2019 National Defense Authorization Act (NDAA), which passed the House last week and is set to come to a vote in the Senate in August, contains a handful of provisions that take aim at Turkey, which is officially a NATO ally but has come to resemble a "frenemy" at best over the past decade. At issue is Turkey's plan to simultaneously purchase two weapons systems that would have long-term strategic implications for the United States and its most loyal allies. The Senate version of the NDAA contains a provision calling for Turkey to be sanctioned if it completes the purchase of Russia's S-400 long-range air- and missile-defense system. 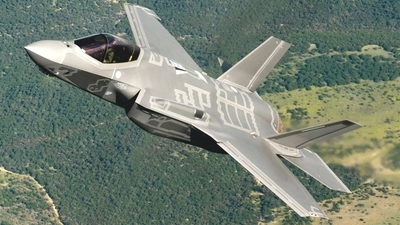 Another provision directs the Pentagon to submit a plan to Congress to remove Turkey from participation in the F-35 Lightning II program, effectively barring Ankara from receiving the top-of-line U.S-manufactured joint-strike fighter. The House version, for its part, would halt all weapons sales to Turkey until the Pentagon analyzes the worsening tensions between the two nations. Turkey's desire to acquire both the F-35 and the S-400 has rightfully set off alarm bells in Washington and beyond, because the two systems were designed by fierce adversaries to counteract each other. Despite having its share of critics, the fifth-generation F-35 fighter jet with stealth capabilities is considered by many to be the best multi-role combat aircraft in the world. In the other corner, the Russia-made S-400 is the most advanced air-defense system in use. It would pose a significant challenge to the air capabilities of the U.S. and its allies — including those that fly the F-35. The problem isn't merely the fact that Turkey is purchasing a surface-to-air-missile (SAM) system from Russia. Unlike the Patriot SAM system that Ankara rejected, the S-400 doesn't integrate within NATO's military architecture. Meanwhile, Israel continues to highlight the Patriot's ability to tackle a diverse array of targets. This leads observers to question why Turkey would pursue a deal with Russia (or even China) at the expense of its supposed allies, especially if doing so wouldn't boost NATO's collective air defenses. Indeed, while the S-400 won't play nice with the rest of NATO's missile-defense systems, it would undoubtedly have more than a sympathetic ear for the F-35 Joint Strike Fighter. For instance, Russia's S-400 radar can act as a platform to collect electronic and signal intelligence from the F-35, which is a problem that could threaten the entire F-35 fleet. By operating both systems together, Turkey could test and share information about the limitations or advantages of each. That is valuable intelligence it might choose to share with its newfound partners in Moscow and Tehran rather than with NATO. The result would be an optimized S-400 system able to detect aircraft from an even greater range, with a deeper understanding of how the top-shelf U.S. fighter plane operates. The problem is not just theoretical, either. It is an immediate operational concern in Syria, where the U.S. is engaged with the Islamic State in the east, Israel is enforcing its red lines regarding Iran in the center and to the west, and the relentless air campaign mounted by Russia and Assad has combined with frequent Iranian air shipments of fighters and military equipment to further crowd the country's airspace. Given such conditions, the type of air assets and aerial-defense systems at issue here can often be a determining factor in the success of any mission. 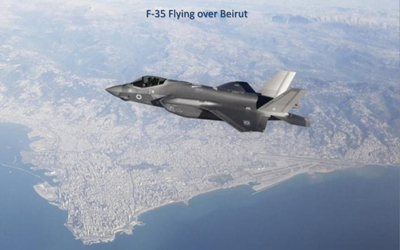 A photograph of an Israeli F-35 "Adir" stealth fighter jet flying over the Lebanese capital of Beirut, which was apparently leaked to Israel's Hadashot news as bit of Israeli trolling. Take the F-35. Israel already purchased the aircraft as an upgrade to its aging fleet of F-15 and F-16 fighter jets. In May, Israel Air Force (IAF) commander Major General Amikam Norkin disclosed that the aircraft had already participated in two airstrikes over the Middle East, making Israel the first country to operate an F-35 in combat, just as it was the first to use the F-15 in 1979. 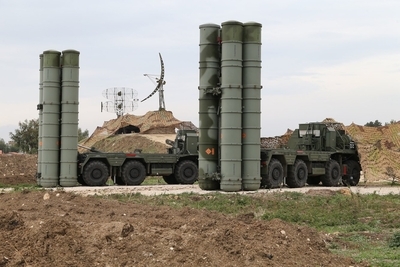 But while Israel is now relying on the F-35 for air superiority in Syria, Russia has brought in the S-400 system to protect its expanded Khmeimim airbase along the coast. Why, you ask, did Russia feel compelled to bring in its world-class air-defense system if it was operating against terrorist groups that didn't even have aircraft? The answer lies in Turkey. A few months after Russia decisively entered the Syrian war in 2015, a Turkish F-16 shot down a Russian Su-24 that allegedly crossed into its airspace. Russia's solution was to deploy the S-400 in addition to the already-formidable S-300. Both are weapons systems that Israel considers "game-changing," but since they are operated by Russia — not Assad's or Iran's forces — Israel has been forced to work with Moscow in reaching an understanding on its red lines, in addition to maintaining its active de-confliction lines. Preventing the transfer of such systems to Iran or Israel's enemies in Syria and Lebanon is a priority for the IAF, which has mounted, by some estimates, over 100 one-off airstrikes in Syria for just that purpose. Notably, in one of three aerial attacks this year on the T-4 airbase deep inside Syria, Israel destroyed a soon-to-be-unpacked "Third Khordad" aerial-defense system, an Iranian version of Russia's S-300. Iran received this technology when it purchased and tested the S-300 from Russia following the implementation of the Obama administration's nuclear agreement. It is believed to be currently deployed around the hardened Fordow nuclear facility in Qom. Clearly, both the U.S. and Israel have an interest in minimizing the number of advanced Russian SAM sites guarding Iranian and Syrian assets in case a military showdown over Iran's nuclear program becomes a necessity. This congested military dance over Syria is taking place alongside a flurry of recent diplomatic activity in which all concerned parties are plowing a path to Putin. Turkish president Recep Tayyip Erdogan met with the Russian leader in late July, on the sidelines of the BRICS summit in South Africa, to further their cooperation as they prepare to violate the last of four de-escalation zones they created last year. And days before the Helsinki summit in which President Trump and President Putin discussed Syria, Israeli prime minister Benjamin Netanyahu again met with Putin to impress upon him the need to push Iran out of the country. Short of that, which remains unlikely, Israel hopes to at least keep Russia and the S-400 on the sidelines as it continues to target Iranian assets. While far from ideal from Israel's perspective, on an operational level this delicate balance in Syria has worked out for the Jewish state. For instance, on July 22, Israel targeted a military complex north of Masyaf, which is located less than five miles from Russia's S-400. Hardly a peep was heard from Moscow. Instead, the most bellicose voice these days comes from Ankara, which is seeking its own advantage over its neighbors and beyond. Erdogan recently slammed the U.S. for asking Turkey to comply with sanctions against Iran, because he considers the regime in Tehran to be Turkey's "strategic partner." Indeed, Erdogan has even picked up some negotiating pointers from Tehran, such as how to use Western hostages as bargaining chips. Andrew Brunson, an Evangelical Presbyterian pastor from North Carolina, was arrested in Turkey in 2016, during the regime's crackdown on journalists, academics, and Christian minorities. He was released on house arrest last Wednesday, but Erdogan won't let him go free. Another wrinkle in the story developed over the weekend when it came to light that as part of a trade for the pastor's release, President Trump asked Prime Minister Netanyahu to release a Turkish national arrested earlier in July on terrorism-related charges. Netanyahu complied the following day, but Erdogan failed to hold up his end of the deal. As a result, the Trump administration decided to sanction Turkey's justice and interior ministers. It was not exactly the message one would expect to hear from the Turkish president if he was trying to gain favor in the halls of the U.S. Congress. Then again, this is a man who dispatched his security detail to brutally assault peaceful demonstrators in Washington, D.C. last year, while he watched from his limo. The problem runs far deeper than that case or the matter of Brunson, but if such behavior is any indication of what the future holds, there's little reason for the U.S. to afford Turkey any kind of preferential treatment. Under Erdogan's leadership, the state has become a revisionist power with imperial ambitions that include recreating a version of the Ottoman Empire based on the Muslim Brotherhood model. In this sense, he has far more in common with Vladimir Putin, who seeks to redraw the map of Europe in the service of his vision of "Eurasia from Lisbon to Vladivostok," as Putin and his foreign minister, Sergey Lavrov, called it. Erdogan isn't subtle about his preferences. Whenever he has seen an opportunity to exploit the weakness of a U.S. ally, he has taken advantage, whether it was supporting the Muslim Brotherhood against the Egyptian people or siding with Qatar when the Gulf States had isolated the kingdom. He is downright hostile to Greece and Cyprus, even as he cozies up to Russia, Iran, and China. And, of course, he remains a vocal and major financial supporter of Hamas and never misses an opportunity to liken Israelis to Nazis as he vies for leadership of the Middle East's anti-Israel powers. In that sense it isn't just the thought of the F-35 and the S-400 parked together in a Turkish hangar that should have Washington worried; it's everything about the U.S.-Turkish relationship. Erdogan's drift away from NATO's core values has become an unobstructed stampede toward brutish authoritarianism. He now behaves as an amateur Mafia boss demanding protection money for the damages he causes. The recent episode with Pastor Brunson is just par for the course, not an aberration or passing episode. Moreover, it is rather illustrative: A true ally such as Israel accedes to a U.S. request even when it receives little in return. Reneging on a hostage negotiation while openly courting America's enemies is adversarial behavior. So a reevaluation of the relationship is long overdue, and Washington should take the time now to get it right. 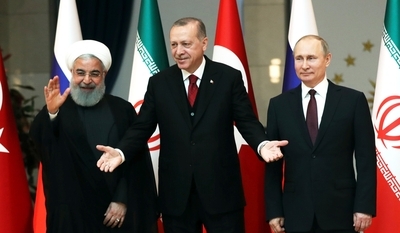 As long as Turkey continues to prioritize its temporary alliances with Russia and Iran over its relationship with the NATO, the U.S. should downgrade its ties and take its own punitive measures. That means the F-35 should be off the table for the foreseeable future and a cost, perhaps in additional sanctions, should be associated with Turkey's decision to purchase the S-400. We cannot afford to reward Ankara's bad behavior, nor to risk the security of America's allies and the delicate balance of power that exists over Syria.